Highly productive digital colour presses that combine superb quality with exceptional speed and broad application versatility. Take digital colour printing to the next level. The imagePRESS C10000VP and C8000VP combine exceptional quality, productivity and versatility with consistent speeds of up to 100 ppm or 80ppm respectively across a vast variety of applications. 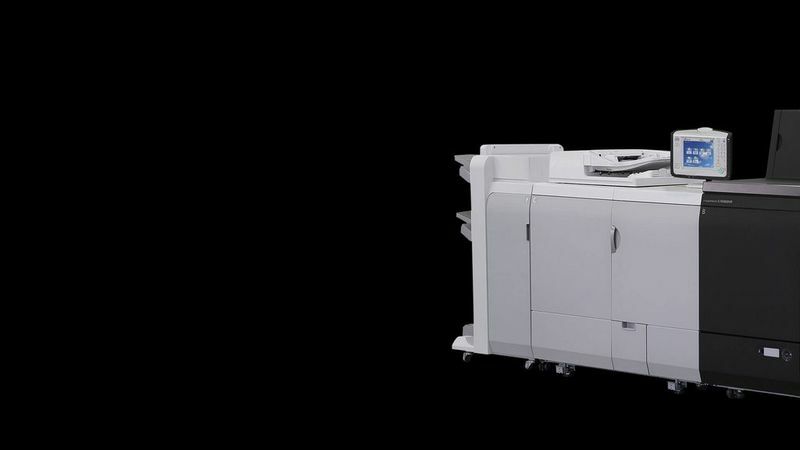 Optimum productivity with speeds up to 100 ppm and outstanding colour quality from first to last print. Consistent speeds of up to 80 ppm offer optimum end-to-end productivity without compromising quality. Experience the ultimate in productivity, quality, reliability and versatility, even on the most challenging mixed media applications, with speeds up to 100 ppm, highly accurate registration and extended finishing capabilities.